Add a New Customer to Loyalty – How can we help? There are two main ways to add a new customer to Loyalty, which will be discussed further below. 1. Add the customer when they are in store. 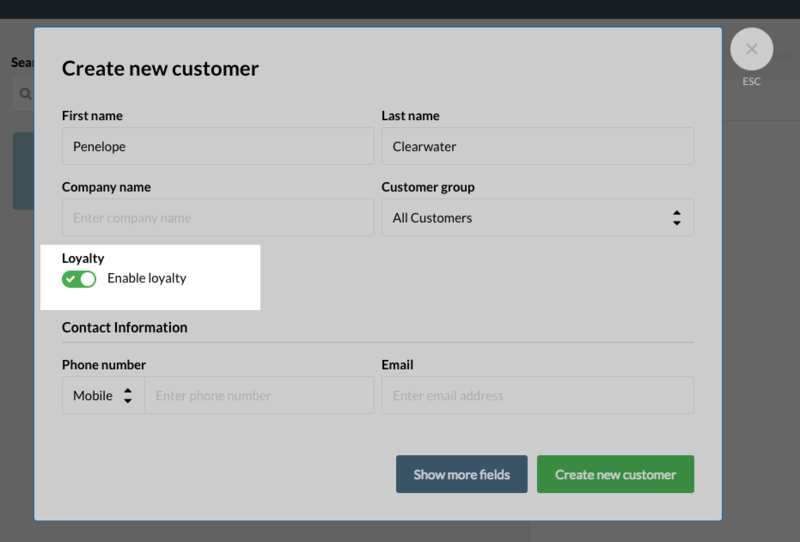 Add a customer on the Sell Screen and make sure Enable Loyalty is turned on. Remember, the customer may get a welcome email, depending on your settings. 2. The customer can also add themselves. When a receipt is issued to new customers, all receipts for new customers will have a custom link at the bottom, and the customer has seven days to follow the link to sign up.